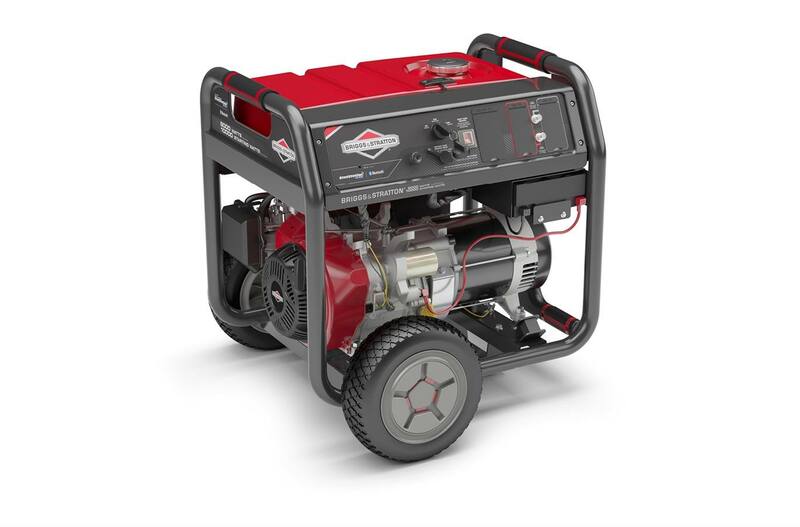 Bluetooth® Connectivity: Connect with your smartphone to monitor power usage, run time, fuel level and more in real time, from the comfort of your home. 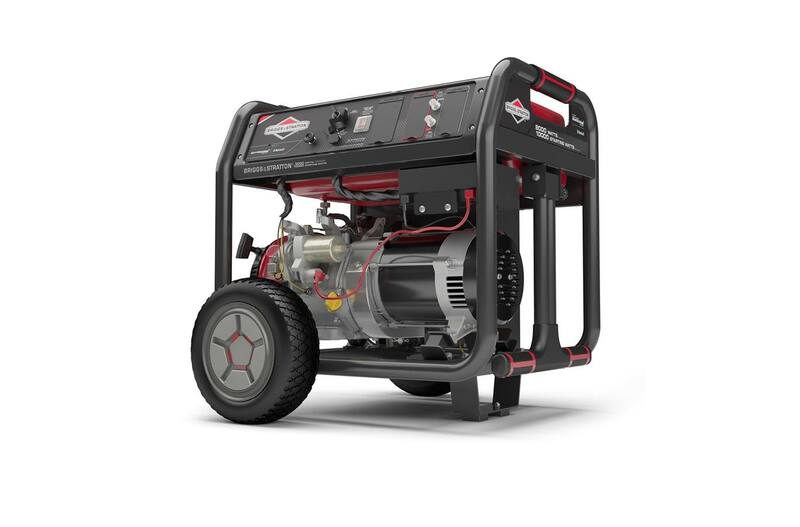 Free, easy-to-use InfoHub Portable Power app: Download the intuitive app from the Apple® App Store® or Google Play™ store in just minutes. The app is best equipped for an iPhone® 6 running iOS 9 (or newer) or a Samsung Galaxy S6 running Android 6.0.1 (or newer). 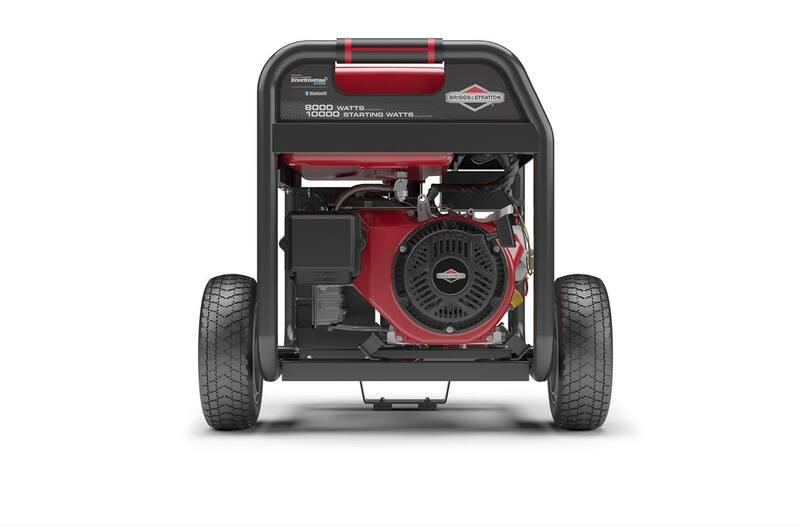 Briggs & Stratton® Engine (420cc): Get high-performance power and durability from one of the most trusted names in engines. Multi-Featured Control Panel with Circuit Breaker Protection: Enjoy the flexibility of four GFCI 120V household outlets and one 120/240V 30A locking outlet that let you power more essentials in your home. Additionally, rubber outlet covers protect against the elements. 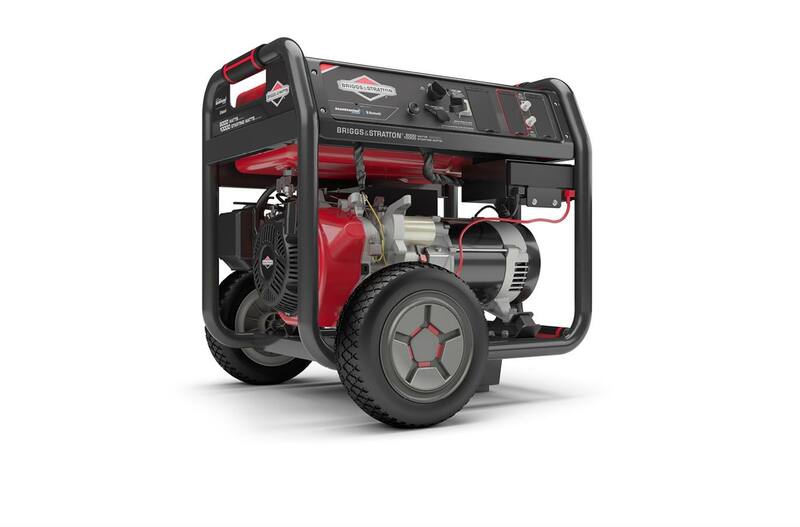 12-inch Never Go Flat Wheels: Easily maneuver the generator around your property. 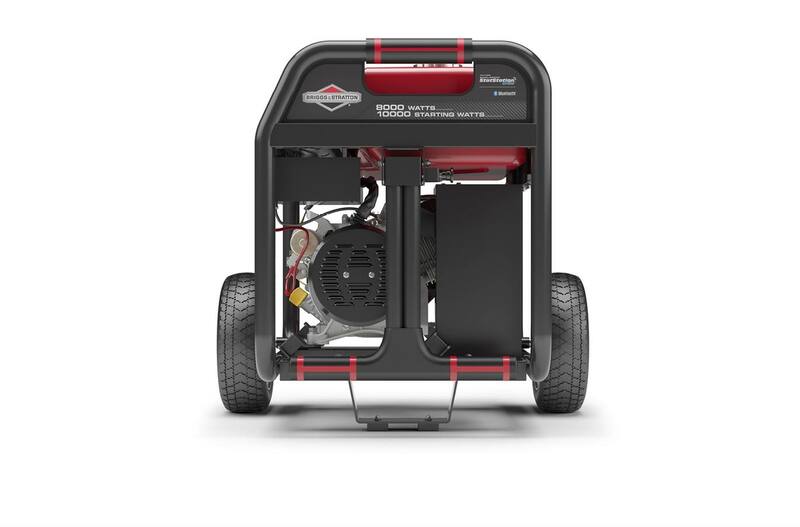 9-Hour Run Time (at 50% Load): Take a break from regular refueling with a durable 7.5-gallon steel fuel tank that provides 9-hours of run time. 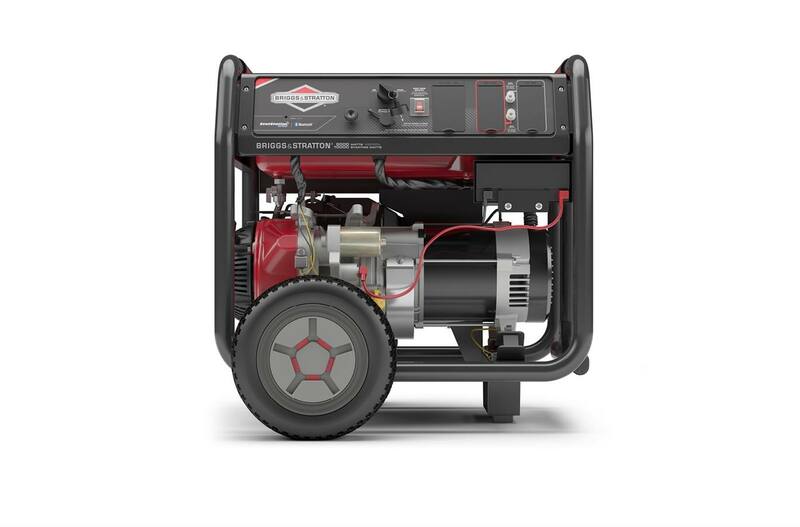 Power Surge™ Alternator: Start large, motor-driven appliances and tools by leveraging a Power Surge™ Alternator, which produces a short surge of high power. 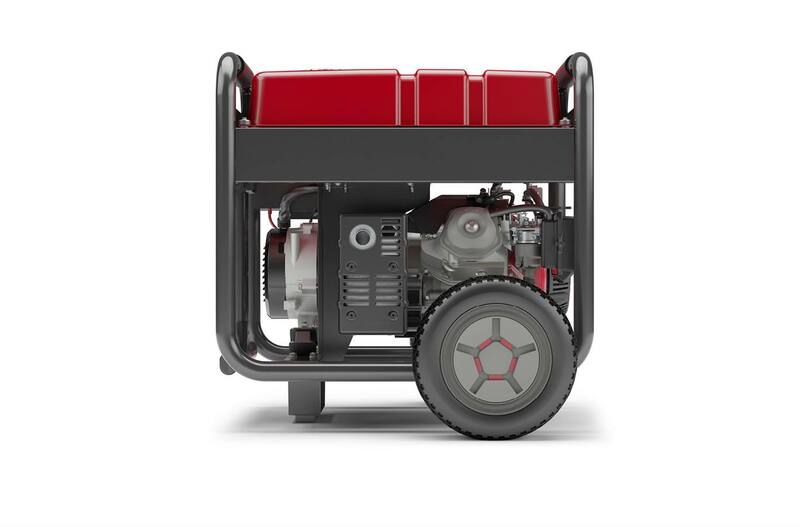 Generator per PGMA (Portable Generator Manufacturers' Association) standard ANSI/PGMA G300-2015, Safety and Performance of Portable Generators. *Per ANSI/PGMA G300-2015. 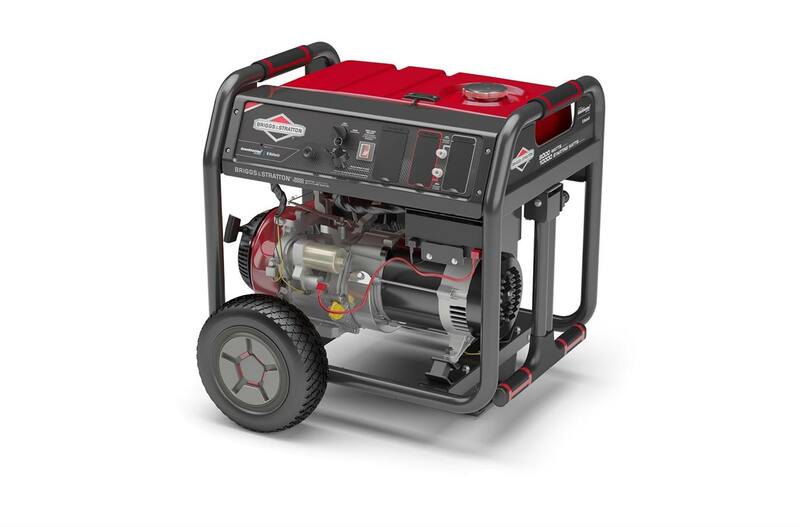 **Starting Watts is the maximum current that can momentarily be supplied when starting a motor, multiplied by the generator's rated voltage.†See operator's manual or www.briggsandsratton.com for complete warranty detailsThe Bluetooth® word mark and logos are registered trademarks owned by Bluetooth SIG, Inc. and any use of such marks by Briggs & Stratton Corporation is under license. Other trademarks and trade names are those of their respective owners.